I his bird is easily recognized by its distinctive, black-and-white plumage and long tail. Often in pairs or small groups, it is a noisy and conspicuous species that can usually be located by its loud, metallic calls, or be seen perching in open situations. 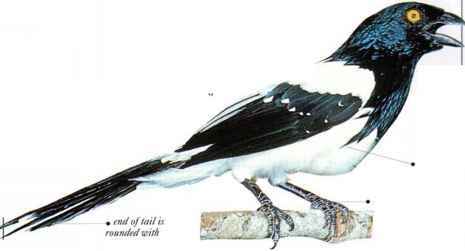 The Magpie-Tanagcr is a widespread bird in the lowlands of its range, inhabiting areas of very open woodland, where bushes and trees are interspersed with grassland. 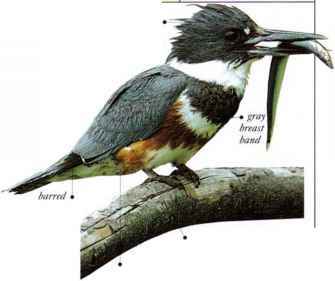 Feeding mainly on fruit, it forages at all levels in the foliage, but especially in the tree canopy. • NEST A large, cup-shaped nest, constructed from small twigs and grass, with a finer lining inside made of grass, and well concealc1 in dense foliage. Parts of tropical South America.